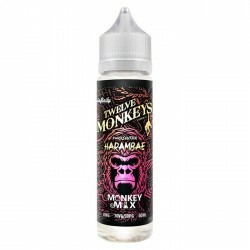 Twelve Monkeys e-liquid is now available in our UK e-shop and retail store. This is a premium e-liquid range mande in Canada. 70-90% VG ratio gives you a lot of clouds while keeping flavour profiles on top. This company makes their e-liquids from finest ingredients under strict quality control procedures.